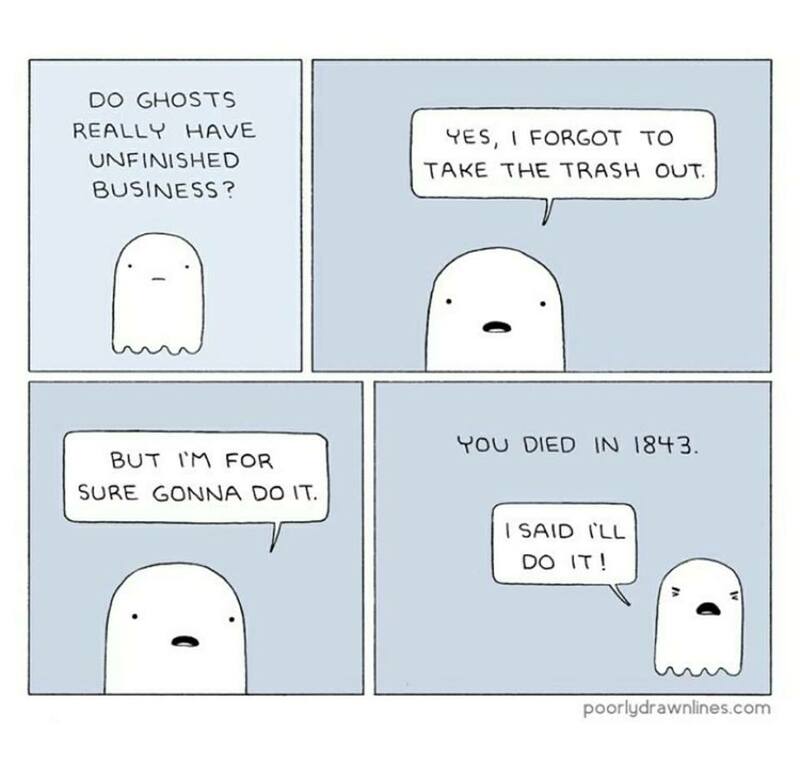 I can certainly empathize with this little ghost---I'm a huge procrastinator. 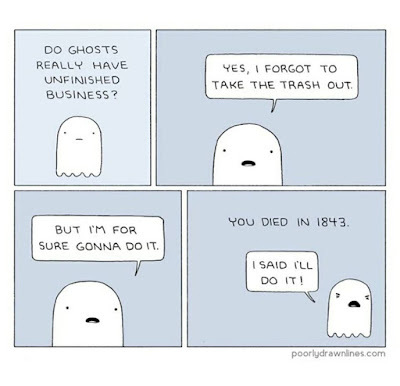 I'm pretty sure that particular character trait is going to contribute to me becoming a ghost after death. The amount of 'unfinished business' I'll be leaving behind will be staggering!